$108 for the first person in a room, $80 for each additional person. Open from June 27 through September 12. Our favorite national park and one of our favorite chalets had a challenging year in 2017, but we remain joyful for our friends and thankful for our blessings. We are looking forward to starting a new year and having more adventures. 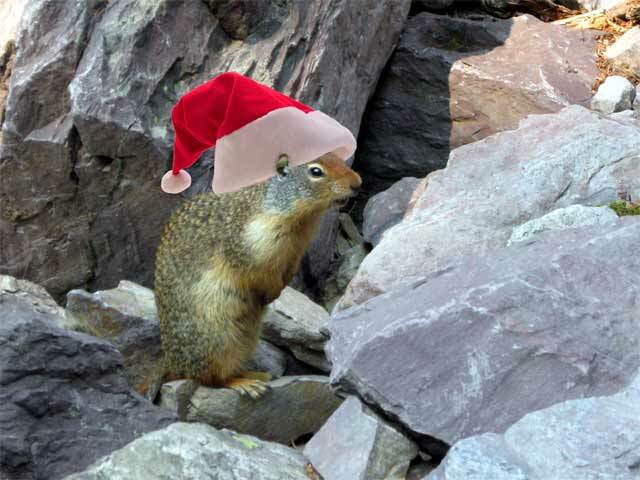 From the backcountry of Glacier National Park we wish you a Merry Christmas. As winter settles in we find ourselves looking forward to next summer at Granite Park Chalet. If you would like to join us, here is some information to start your planning. Reservations open on Monday, January 8, 2018. 8:00am mountain time zone. The best way to make a reservation will be online through this website. Our operating dates for next summer are June 27 through September 12th. We will have more information soon, including the 2018 fares and tips for reservation success. It was a hot and dry summer, it was a busy summer. We got see lots of friends, new and old, and we got to do some incredible hiking. 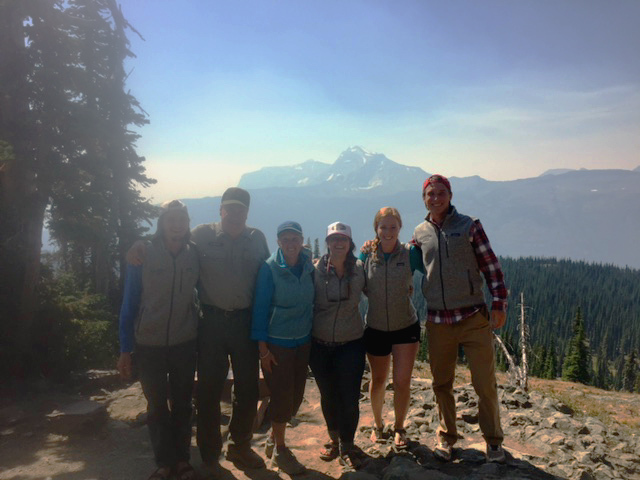 It was amazing to see how many people had a chance to visit us and enjoy Glacier National Park. We are saddened by the loss of our companion, Sperry Chalet. We still have plans to make and decisions to reach before we can move forward. Expect to see Granite Park Chalet reservations open for the 2018 season in January. We will publish exact dates and details here this fall as we learn them. We hope to see you and your hiking buddies up in the backcountry again next summer. The 2017 Granite Park Team sends their heartfelt wishes to the Sperry Chalet Crew, Belton Chalets, Inc, the firefighters, and the public, in the loss of the GNRY Sperry Hotel. Evacuation Order in Effect Between Apgar Loop Road and Logan Pass. All park entrances remain open. The Going-to-the-Sun Road is closed between Apgar Loop Road and Logan Pass. Logan Pass is accessible via the St. Mary Entrance. Apgar Village, Campground, and Picnic Area are open. Granite Park Chalet is open and is not in harms way. We are ready to serve you. The Highline Trail from Logan Pass is currently the best route in and out of the chalet. The Swiftcurrent Pass Trail is also open to Many Glacier. The Loop Trail is not accessible. If you are trying to reach Granite Park Chalet from West Glacier, plan to add about 2.5 hours of travel time around the park on Highway 2 to the east entrance at St Mary. Please contact our office if our shuttle can help you. The National Park Service has issued an evacuation warning on Saturday, September 2, from the south end of Lake McDonald north to Logan Pass along the Going to the Sun Road corridor. This is in response to potential fire activity from the Sprague fire. Granite Park Chalet is not in harms way and remains open and accessible. We are prepared to stay open even if the fire should cause the closing of Going to the Sun Road on the west side. Granite Park Chalet will still have east side access on the Highline Trail from Logan Pass and the Swiftcurrent Pass trail from Many Glacier. For your travel into Granite Park Chalet this week, we recommend using the Highline Trail and Logan Pass as your entry point. In a worse case scenario it will add an additional two and a half hours of travel time to go from West Glacier to Logan Pass via Highway 2 and the east entrance to Going to the Sun Road. Please contact our reservation office if we can assist with our shuttle. It would be best if you do not park your vehicle at the Loop. Should Sun Road close during your stay at Granite Park Chalet, that may interfere with your ability to egress from the park. If you prefer to hike the Loop Trail, shuttles are available from Logan Pass and park visitor centers that can bring you to the trailhead. Be mindful that your egress may require a different trail. It has been hot and dry in Montana this summer and here in Glacier National Park, stage II fire restrictions have been put in place. What this means for park visitors is no fires. Campfires are not allowed and smoking is only allowed in a barren area. Propane stoves are okay, but charcoal or bbq briquets are not. While visiting the chalets these restrictions are easy enough to follow. Keep the cooking in the kitchen, and don't mess around with any sort of flame outside. Be super careful while visiting Glacier during these hot and dry days. Be sure to drink plenty of water and carry extra water while hiking. Start your hikes as early in the morning as you can while it is still cool. Hiking from Logan Pass to Granite Park Chalet is now possible. For the next week or so you should still be mindful of snow crossings and some of the hazards that snow can create. Running water can undercut the snow and create the risk of falling through, and of course you should be super careful with the slippery surface. Start your hike early while the day is still cool. Carry extra water and stay well hydrated. Take extra rest breaks in the shade, especially in the hot afternoons. Watch your hiking buddies for signs of heat illness: Looking very pale, or odd skin color. Being wobbly or unsteady. Not thinking straight. Excessive sweating, or not sweating at all. Take breaks in the shade. Drink lots of fluids. And be safe out there. Yay! Granite Park Chalet is open. We are super excited to start another summer of hiking and adventure up at Granite Park Chalet. We can't wait for you to visit. For the next week or so, come prepared for snow in the high country. We are running into snow on the loop trail about a quarter mile below the chalet. You should have good waterproof hiking boots, trekking poles help, hats, sunglasses, and sunscreen. The Highline Trail is closed and will probably stay closed for a couple weeks. The Loop Trail is your best access right now. We expect Going to the Sun Road to open to private vehicles soon. Until that happens we are shuttling all chalet guests past the closure up to the Loop trailhead. Call our office if you have questions about your upcoming chalet reservation. Summertime in Glacier is here. I hope you are planning to take a hike! We have been getting a lot of questions here in the office about when to expect high country trails to open up this year. The answer will always be: no one knows. Which we have to admit is not very helpful. So in an effort to be helpful, let me show off some information that we do know. The Flattop Mountain Snotel site has the best snow depth data for the Glacier Park high country. From here we can learn how deep the snow got this year, how deep it is right now, and how fast it is melting. Granite Park Chalet is at the same elevation as this monitoring station, so this is our best estimate as to snow conditions around the chalet. When Does the Highline Trail open? If you have an early season reservation, don't let snow worry you. Granite Park Chalet will be accessible by the Loop Trail, so get out there and enjoy the mountains. Springtime with some snow around makes the chalet gorgeous. Do you know what you are having for dinner when you stay at Granite Park Chalet? If you are still figuring that out, take a look at our retail menu. The 2017 menu is now ready. You are always welcome to bring any food of your own choice, and all of our overnight guests will have access to our kitchen. But our menu is here to help. Simple to prepare, simple to clean up, we have picked out the tastiest backpacking meals we can find. Order in advance to lighten your backpack, we will have your food waiting in the kitchen when you arrive. Most of these items will be available over the counter too should you need something at the last minute, but ordering in advance will guarantee a selection. Transportation reservations are now available. Will you need a ride to a chalet trailhead this summer? We can help. You can read about our shuttle details here. Fun fact: 2016 was a record setting year for the most Glacier Park visitors. Forecasts for visitors in 2017 are very similar. While it is great that so many people are enjoying our wonderful park, it can cause some problems too. Where to park your car is one of those problems. Quit worrying about vehicles and parking and enjoy yourself more. Have a scheduled and reserved ride directly to your destination. Help reduce traffic, congestion, and air pollution. Our shuttle is not your only option. The National Park Service is operating a shuttle along Going to the Sun Road. And there are two private options for people on the east side of the park that need transportation. Guided interpretive workshops still available. We still have a handful of rooms available in some of our guided interpretive workshops. These workshops are a great opportunity for field outings into the heart of Glacier with an expert naturalist and educator. Granite Park Chalet makes the perfect base camp to let you indulge in a backcountry study of wildflowers, ecology, geology, art, and more. Find the workshop details here. Many of your deposit payments are coming due and we are getting backlogged on processing them. If you have mailed in your deposit but have not heard back yet, don't worry, we will not be canceling any reservations until we get caught up. All reservations are getting a reprieve until at least the end of the month for making the deposit. If you are trying to make your deposit, you can pay online through the link in your confirmation Email, call us, or send it in by post. We are learning that many of the Emails we are sending in response to reservation requests are not reaching some people. Be sure to check your junk mail folders if you have not heard back from us. Gmail.com Email addresses in particular do not appear to be receiving our communication. We are sorry for the inconvenience. All successful reservations will be getting a statement by postal mail. It has been a fun week hearing from so many excited people. Thanks for being enthusiastic for the chalets. It is heartbreaking that we are not able to award reservations to everyone that wishes to stay with us. Do check our availability occasionally through the spring, any openings from cancellation will be available to the next request. If you have not heard back on the status of your reservation request, sorry, we tried to send an Email but sometimes things go wrong. All successful reservations will also receive a confirmation by post. We will begin accepting reservations for the 2017 season on Monday, January 9th, at 8:am mountain time zone. Use the reservation request form on this website. You will find it on the reservations link on the menu. This is the fastest and easiest way to send your request. We will get back to you by Email as soon as we can. We do not recommend using the phone, Email, telegram, pony express, or any other way of reaching us. The only thing we can do with these requests is enter them into the website on your behalf. This will be slower and less reliable than doing it yourself online. If you need it, the office phone is: 888-345-2649. We will not be able to create a reservation by phone, but we can enter your information into our online form on your behalf or answer questions. Expect delays and busy signals if you attempt to reach us by phone. Be flexible with your travel and stay dates. The more options for dates you give us, the more opportunities exist for you. Requesting fewer rooms can make more opportunities available. We all rough it in the backcountry a little. Sharing a room with your friends can be part of the fun. The first week in August traditionally has the highest demand. (The week before and after are very popular too.) Other times during our season may have more opportunities. Double check your form before you hit send. I know you are excited and in a hurry to get into the queue, but simple mistakes can thwart your reservation entirely. These requests cant be changed once they are sent. We have seen mistakes such as misspelling an Email address or contact info so we cant get back to you, not getting the party size right, or even forgetting to tell us the month for the reservation. A quick double check can save the day.